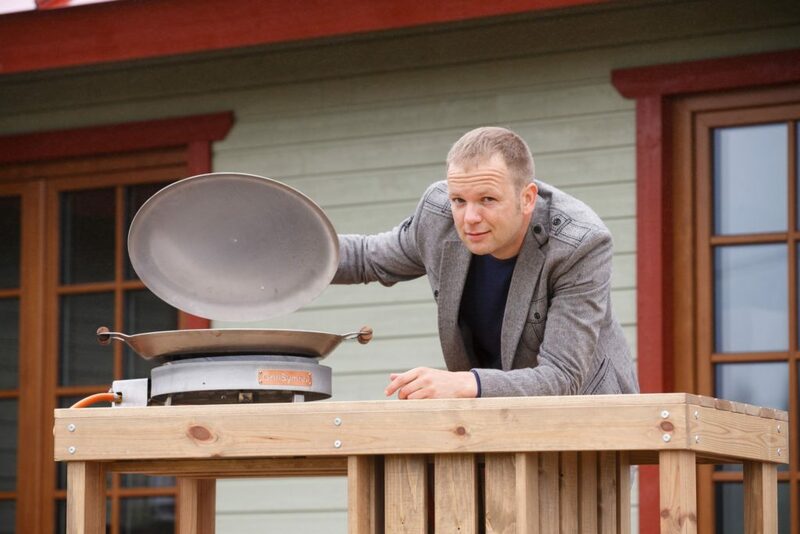 An innovative and unique solution in GrillSymbol PRO-series pans (standard equipment of all PRO-series products, except for 460 models). No need for matches or a lighter to light the gas. You also don’t have to be afraid of burning your fingers when lighting the gas, which may happen when lighting with matches, especially in case of high-powered burners of 10-25 kw. Professional chefs may be experienced in lighting with matches but we can say from our experience that even they prefer the convenience “Click and Cook” has to offer. GrillSymbol’s unique “Click and Cook” system makes the pan user’s life easier and more convenient. The device works on AA type batteries. Replacement of batteries (usually one after every couple of years) is easy – the lighter nob needs to be opened and batteries replaced with new ones.